How could we expect him to realize it just now, but he’s much better off. It’s amazing to me that in these days of sophistication and enlightenment, stigma is routinely attached to an emotional/mental health disorder. However, it’s fact – and in acknowledgement lies the potential for change. Stigma was the subject matter of the chipur newsletter two weeks ago. The response was so encouraging that I decided to run a piece for all to read and act upon. When a human being is denied freedom and dignity, something is definitely wrong – and requires correction. Come on, if you’ve ever been the target, you know how much it hurts. And the slinging of arrows and taking of pain continues. For the tens of millions of people worldwide enduring an emotional/mental health disorder, the injustice never ends. As someone who’s spent a lifetime coming to know and manage panic and generalized anxiety disorders, anxiety-associated depression, and alcoholism; the definitions hit hard. Perhaps like you, I endure disorders that affect how I receive, process, and respond to my world – and self. In lieu of using the term mental illness, perpetuating stigma, I’m going to say I have a mind variance. It’s not any different from having heart disease or diabetes. After all, last I looked we have but one body; with no above-or-below the neck distinction. Time was, going public with a mind variance would just about end whatever hope you had of living a routine life. Yes, society’s knowledge of your situation would only exacerbate the problems with which you were already dealing. Fortunately, things are a little better in the early years of the 21st Century; however, society still has a long way to go with regard to its perception and treatment of those living with a mind variance. It’s believed one of every four adult Americans endures a diagnosable mind variance. Yet, some 70% of these don’t seek treatment because of roadblocks such as lack of education and personal insight, stigma, and inadequate or non-existent health insurance. It’s my guess that the numbers are similar worldwide. Something is very definitely wrong with this picture. Should you come to the conclusion that you endure a mind variance, I want you to hold your head high. You have nothing about which to be ashamed or embarrassed. Indeed, your self-candor and courage are most admirable. 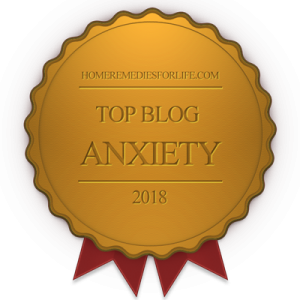 Please join me in announcing – it’s okay to have a mind variance! Because the only way society is going to completely embrace us is if we step forward together and demand to be counted. As far as we’ve come, there’s still a bright and shiny badge of disgrace pinned upon those dealing with a mind variance. And, as a result, we are all too often improperly judged and unfairly treated in the workplace, at school, with regard to insurance, and in other arenas of essential life-functioning. Yes, I endure a mind variance. And my situation deserves the same respect, freedom from prejudice, and opportunities for treatment afforded other health challenges. Period! If you’ve endured an emotional/mental health disorder for any length of time, I’m thinking you can identify with the down-to-the-bone pain our jilted man is dealing with. It hurts, it isn’t right, and it’s gotta’ stop! 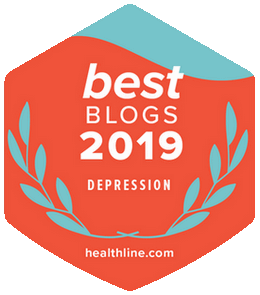 To catch a listing of the almost 270 chipur articles on the psychology of depression, anxiety, and bipolar disorder; just click here. Previous Post: Wanna’ can the alerts? Ditch the self-monitor!